When you upgrade Windows 7 or 8.1 to Windows 10, Windows Photo Viewer comes with. However, it’s gone after a clean install. Here’s a way to replace it. Windows 10 continues its march towards universal app dominance. The OS launched in 2015, came preinstalled with a vast collection of modern apps, ready to replace many desktop classics. One such app is the built-in Photo Viewer. However, it’s interesting to note that Photo Viewer is no longer included in Windows 10. So, if you do a clean install, you’re not going to find Photo Viewer. The only way to keep it is to do an upgrade to Windows 10 from an existing version. Note: If you do an upgrade from Windows 7 or 8.1 to Windows 10, the Photos app will be the default. But you can change that. For more on that, read our article: How to Set Default Apps in Windows 10. Also, after you do a major upgrade of Windows 10 like the most recent November Update, Windows may reset your default apps to the Windows 10 universal apps. To fix that, read our guide: Get Your Default Apps Back After a Windows 10 Upgrade Resets Them. The screenshots below, both show the same version of Windows 10, one is upgraded from a previous version, and the second is a clean install. 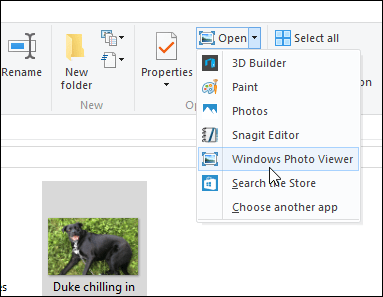 When upgrading from Windows 7 or 8.1, Windows Photo Viewer comes with to Windows 10. Clean install of Windows 10 doesn’t include Windows Photo Viewer, only the Photos app by default. Photo Viewer, was initially based on Microsoft’s Photo Gallery, which originally came preinstalled with Windows Vista. When Microsoft launched Windows 7, many of the bundled apps, including Photo Gallery, were moved to the free Windows Essentials suite which is available as a separate download. 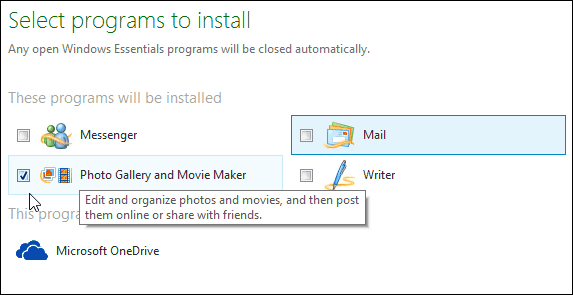 So, the best way to replace Photo Viewer on a clean Windows 10 install is to install the Windows Live Photo Gallery from Windows Essentials 2012. When you run the installer, all of the programs in the suite will be checked by default, but you can uncheck the ones you don’t want. In this case, you only want Photo Gallery. 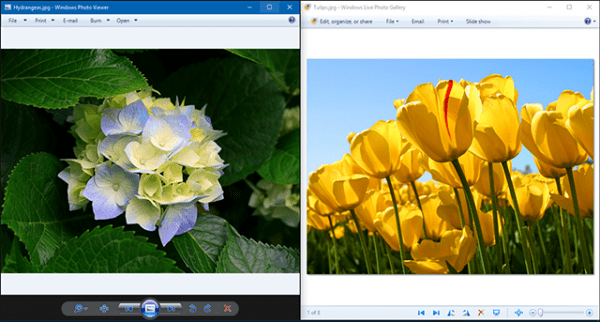 Windows Live Photo Gallery 2012 includes quick Photo Viewer mode which happens to work just the same as the built-in Photo Viewer in Windows 7 and earlier versions. There is not much difference between the two when previewing photos. They offer the same functionality such as slideshow, rotation, printing, and email. The only significant difference you will see is, the Live Photo Gallery has a nicer interface. We don’t know how long Microsoft will continue to support Windows Essentials, so I would recommend getting used to the new Photos app in the meantime. It’s a little different, but it’s nice to use, and it includes a lot of tools for viewing, managing, and editing your photos. Of course, there are other apps out there that you can use for photo’s, so what’s your take? 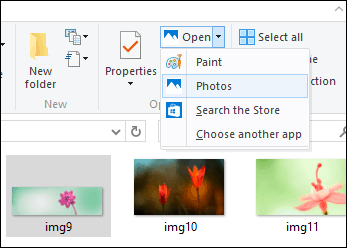 Do you have a desktop program or app that you’ve used to replace Photo Viewer? Leave a comment below and let us know. Sites such as Majorgeeks and Softpedia, for example, have a good range of alternatives. I have been using Windows Live Photo Gallery to tag all my photos for the past 6 or 7 years and have some 30, 000 photos tagged and are now using it on Windows 10. It is a simple program but works well for me. I would be very dissapointed if Microsoft were to discontinue support of this application. 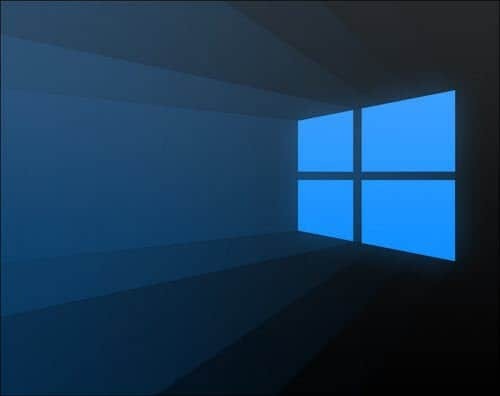 In fact in my way of thinking it would be justification for reverting to Windows 7 as there is nothing special in Windows 10 that I require that cannot be served by Windows 7. For your information I am 75 years old and have been using Windows since it came out. Well, you could keep running current version of Windows 10 that supports it. I am running the 2011 version of Photo Gallery on Windows 10 Redstone at the moment. So I think Microsoft will keep it around for a long time. I suggest you leave feedback about the tagging feature so the Photos team will add to a future revision of Photos in Windows 10. How did you get Live Photo Gallery on to your computer after doing the windows 10 upgrade? I am in the same situation with over 10000 pictures tagged and organized in windows 7 but I don’t know how to get that back. I spent 3 hours in Windows help chats with multiple analysts trying to figure out this exact same issue (thousands of old photos with tags ad metadata which suddenly could not be filtered anymore in windows 10). They remote controlled my computer and tried a LOT of downloads and reinstalls with Windows Essentials 2012 before finally giving up and admitting that Windows 10 doesn’t support that anymore and no, their new Photos app doesn’t allow filtering with metadata. I’m heartbroken. It’s almost enough to make me try to get my old computer fixed and go back to it. Like your contributor Noel, I have used Windows since its very first incarnation, and I love Photo Gallery and its predecessor Windows Live Photo Gallery, because it was so quick and easy to make basic adjustments such as cropping, exposure, and red eye, but it will not open since I recently uninstalled Microsoft SQL Server 2005 because it was end-of-life and insecure. I am also in my seventies and completely lost without it until I find a suitable replacement. Hi Bill will this not work! Hi Bill! Waiting for approval. Don’t know what that’s all about as I’m new to this forum! Maybe because of attached link? I just took delivery of a Windows 10 machine a few days ago. I followed the instructions above relating to a clean Windows 10 install. Worked like a charm. Thank you for this simple fix. Some of the bloggers were twisting themselves into pretzels with complicated solutions. The new photo app is not “different” its garbage!